Investing in environmental monitoring and control systems is a way that you can ensure the protection of your assets, no matter where you are. At Netshield, we have designed the NVIROMON range that includes the Nviromon-1S, Nviromon Ulti, Naccumon, Nvironmon Lite and Monone software so that you can remotely monitor and manage your environment across multiple applications from your home to your business. 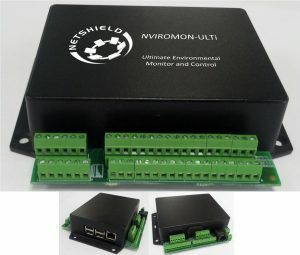 This environmental monitoring system will assist you in in monitoring your server rooms or remote sites around the clock. It is perfectly suited to the data centre where environmental monitoring is essential for the protection of valuable equipment. Monitors and controls environmental conditions inside a room detecting if it’s too hot, cold or wet and if there are any unwanted gases or a fire present. Detects power outages regardless of the reason. Allows you to exclusive control over who enters a room and when they can enter it. Has an optional full security alarm system that can capture images of those that enter the room and includes remote monitoring via SMSes sent straight to your cell phone should something go wrong. This solution is specifically designed to monitor rooms that contain sensitive equipment or products, such as a server room or a room housing medication in a pharmacy. It can be set up according to your unique needs depending on what is most important for you to monitor and control. With the Nviromon 1-S you will have real-time information on the conditions of the room in question, around the clock, no matter where you are. NVIROMON-ULTi is designed to effectively monitor and control processes or systems. NVIROMON-ULTi offers effective management of unattended or remote sites with a cell-phone or a computer interface. Equipment control, reporting and security, Pumps, pivots, generators, cable theft monitoring, irrigation etc. Environmental monitoring, access control, Machine and process monitoring and control, reporting. Generator/ backup management, refrigeration and air-conditioning, building management, electrical power management, fire protection and much more. Electrical power management, security with alarm reporting, irrigation, access control and home automation. Monitor cable theft, electric fencing, alarm reporting, etc. Ever left the house and found yourself wondering if you switched on the alarm, switched off the lights or geyser, or if you locked the door? Maybe your meeting ran longer than planned and you wish you had left some lights on at home, or your friend arrives for a visit before you get home and there’s no one there to open the gate. With the Netshield NVIROMON-LITE you can do all of these things remotely through an SMS or a missed call. In addition, you can get notifications via SMS to ensure that you know what’s happening on your property at all times, like when someone enters your property through the gate, if someone is trying to cut your electric fence or is attempting cable theft. 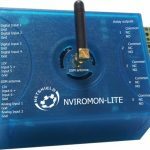 The NVIROMON-LITE is a tool that gives you the power to remotely control and monitor applications and devices, informing, monitoring and commanding depending on the need. What’s more is that it can do this for you no matter where you are, so it’s perfect for remote sites, second properties and offices to name a few. 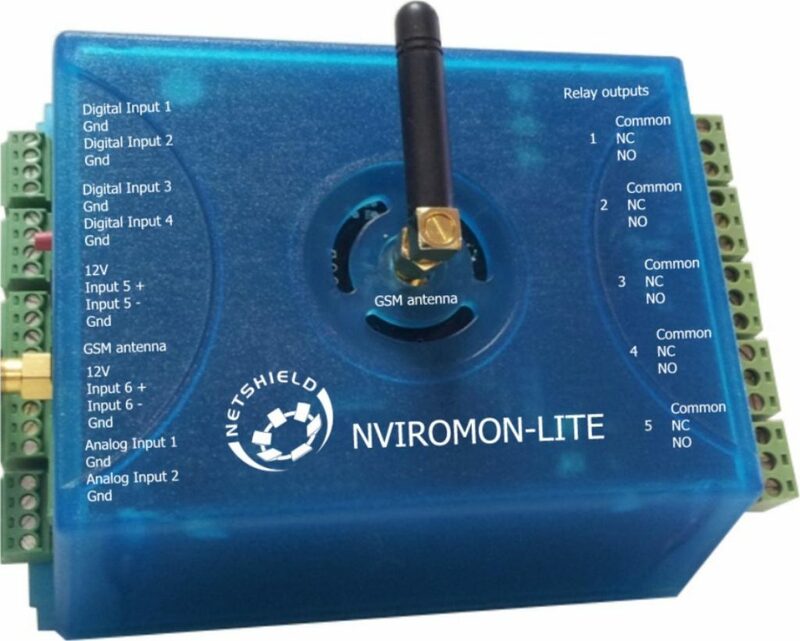 With our NVIROMON-LITE you can effectively monitor and control environmental processes or systems within an agricultural, industrial, residential, security or access control environment. Remotely switching lights, geysers, generators and more on/off or automating the process according to your requirements. Remotely opening/closing electric gates and doors. Controlling and monitoring the temperature of fridges, cooling rooms or any room that is temperature sensitive. Remotely switching on or automating the process of irrigation. Monitoring levels in water tanks or petrol tanks and warning you when the levels are too low or too high. Informing you of power cuts or outages. Warning you when there is fire, smoke, intruders and more, via SMS and/or with a siren. Serving as an alarm system by connecting it to movement sensors, limit switches and sirens. Informing you when air conditioners are creating conditions that are too hot or too cold, and enabling you to remotely change the temperature in a room. The NVIROMON-LITE has six inputs where different sensors can be connected as needed, and five outputs which enables you to customise it according to your needs. To be able to receive remote notifications and have remote control through SMS, you will need to purchase a SIM card from any cell phone provider to add to this solution. You will also get a remote control for fast activation within a 100m range, when the use of a cell phone is impractical. It is easily configured using NVIROMON-LITE software on a Windows computer. With the NVIROMON-LITE, a simple, user-friendly interface gives you powerful configuration, which allows you to mould your own application, without any programming skills. For easy and affordable remote power and temperature monitoring just plug the GSM Power Monitor into a power plug that has GSM signal, install a SIM and SMS the number you would like to receive notifications on to the unit and start receiving power failure or temperature fluctuations notifications via SMS. It also has front-mounted LED indicators to signal network and functional statuses. statuses. As an optional extra, a temperature sensor can be added then the unit will send warning SMS’s when the temperature reaches user definable pre-set minimum or maximum values. • Integrated South African 3 pin plug. • Utility mains power detector, single phase. • GSM unit with Micro SIM socket, externally accessible. • Internal Lithium-ion polymer rechargeable backup battery and Charger. • Simple and quick setup procedure. with increment step of 0.0625°C. (CHECK Blue LED for registration on network). o 250ms on / 250ms off: The Power is OFF. o 1000ms on / 1000ms off: The Power is ON. o OFF: Battery fully charged. o ON: Battery is charging. o LED Flickering: Battery not Present or Faulty. o 64ms ON / 800ms OFF: Not registered on GSM network. o 64ms ON / 3000ms OFF: Registered on GSM network. Are you tired of receiving a sky-high electricity bill thanks to the air conditioners blasting away constantly in your server room/s? It is true that keeping a server room cool is important to ensure that servers don’t overheat, and bomb out as well as to protect other sensitive equipment from being damaged, but it does not have to mean a mammoth bill. Here at Netshield, we have developed a solution that could save you up to 50% on electricity used by air conditioners. Netshield’s Naccumon is a standalone unit that autonomously regulates a pre-set temperature, switching between two single phase air conditioners automatically. Each unit has sensors that can detect when a room gets too hot because for example, doors have been left open, and will then run both air conditioners until the pre-set ideal temperature is reached again. It will then run on a single air conditioner to keep the room’s temperature constant. This can not only result in up to 50% saving on air conditioner related electricity usage but will also prolong the life of these single phase air conditioners’ next service cycle. In addition to regulating air conditioners and temperature, the Naccumon provides Type III surge protection for the air conditioners and can inform you of temperature changes in the room and the condition of the air cons via SMS or email. Managing a network doesn’t have to be a daunting task. 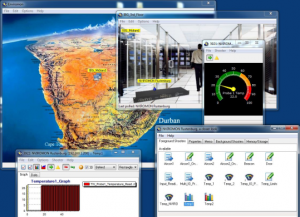 In fact, with the Netshield Monitor One SNMP software, you can manage your entire network with a bird’s eye view of all data rooms in the network, whether they be just down the hall, or in a different province or country. 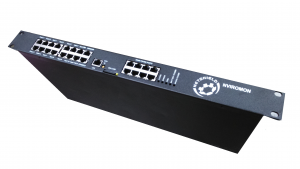 Netshield’s MONONE Software can monitor unlimited devices, like UPS’s, printers and servers, while also keeping a log of network events that is time and date stamped, giving you access to important statistics whenever you need them. 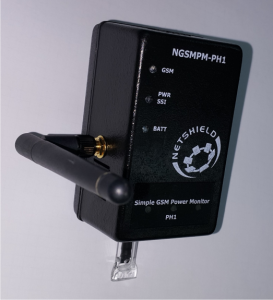 It is able to manage 3rd party SNMP Enabled devices if an MIB file can be obtained for the device and it can also manage devices with IP address by sending a ping to the device. You can receive notification via email or SMS, the latter simply requires the addition of a modem and a SIM card. Sound good? It gets better. MONONE Software has a once-off purchase price, with no licensing fees after that. Available in versions that can monitor eight, 50, 200 or unlimited devices, MONONE Software can be used by itself or in conjunction with the NVIROMON-1U/S.